PLEASE NOTE: We are no longer accepting Grant Funding Applications. Our final deadline was Friday 2nd September 2016. A Townscape Heritage Initiative, or THI for short, is a grant-giving programme that helps communities to regenerate Conservation Areas displaying particular social or economic need. 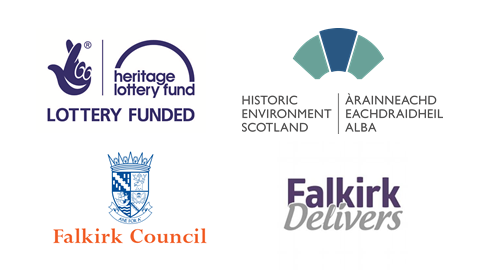 The scheme typically involves a number of funders contributing to a ‘Common Fund’, from which grants are given to local property owners, businesses and organisations to allow them to carry our high-quality repairs and other works to historic properties and spaces within the THI area. Provide training and job opportunities linked to the conservation of traditional buildings and historic environments. The overall aim of the THI was to breathe new life into Falkirk’s historic Town Centre by improving the physical appearance of the area and enhancing the things that make it special and unique. Because people are attracted to and enjoy living, working and visiting historic, locally distinctive and well-kept places, the THI aimed to improve the economic and social success of Falkirk Town Centre by creating a high quality urban environment where people want to spend their time and money. Townscape Heritage Initiatives have been successful in transforming Conservation Areas throughout the United Kingdom, increasing both their attractiveness and prosperity.